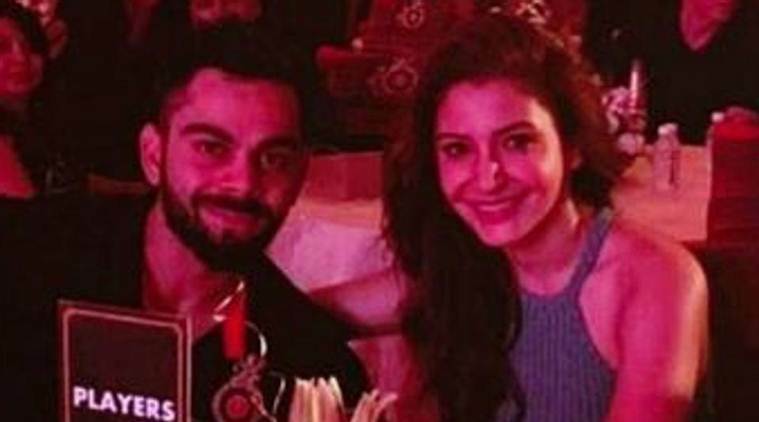 Virat Kohli and Anushka Sharma used to be pretty cagey and secretive about their reported relationship earlier. They used to meet in hush-hush and behind closely guarded doors. Now that seems to have changed and the India skipper alongside the Bollywood actress have been spotted quite often together and more vocal on social media too. Kohli posted a picture alongside her in a park for Valentine’s Day and changed his display picture on Instagram with her too. On Thursday, they were spotted together at the Mumbai Airport with gossip abuzz on their intended plans considering Anushka celebrated her 29th birthday on May 1 – the day Kohli-captained Royal Challengers Bangalore lost to Mumbai Indians by 5 wickets in the IPL. But soon the gossip mill was brought to a standstill with the high-profile couple spotted in Bangalore at the 10-year anniversary celebrations of the IPL team RCB. While the team hasn’t fared well this season with just two wins in 11 matches and a collective five points to sit bottom of the pyramid, it didn’t stop the team from trying to unwind before getting busy with the preparations for the last two games of the season. The last two matches would provide RCB a chance at salvaging some pride after a disappointing campaign. At the do, were other members of RCB AB de Villiers and KL Rahul. Where both AB and Kohli wore RCB Tshirts, KL Rahul, out injured, sported a simple white shirt. Anushka, alongside Kohli, wore a blue halter neck dress.